Oct 22, 2017: Please Help!! I don't know what I'm doing. Dec 17, 2018: My Acer GN246HL Bbid Widescreen 24" won't show 144hz help me ! 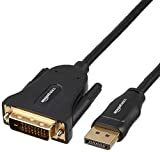 Dec 25, 2018: Is there anything wrong with using a DisplayPort to DVI adapter quality wise?